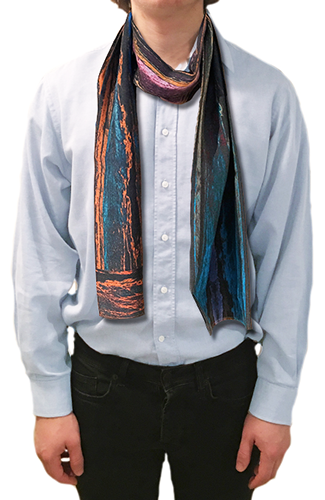 A colourful, distinguished yet subtle scarf that belongs in any man's wardrobe, and will not be out of place in the city or the country whether you are 22, 55 or 77. It has all the naturalness of Fluorite (from the Latin to flow) created from molten lava millions of years ago, yet produced using the latest digital imaging and printing technology. 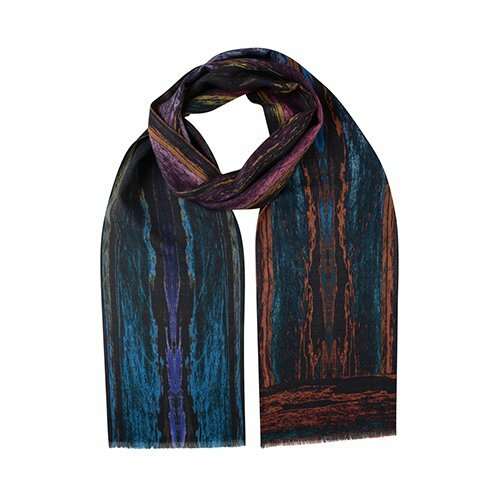 Perhaps that's why it offers all the strengths and style of traditional men's scarves with a distinctively contemporary look. Altogether, a scarf to be noticed as well enjoyed.